A home away from home, floating on a lake or tied to a tree along a riverbank, is an achievable goal for the do-it-yourself person with carpentry skills and the necessary tools; after all, houseboat is just a small house constructed on top of a rather flat boat. A houseboat may have all the interior appointments of a mansion or may be as minimalist as a garden shed. The only limits to building a houseboat are the builder's imagination and pocketbook. Build the hull by constructing a frame, then covering the entire frame with marine plywood, cut to shape and size as needed. The plywood should be fastened by screws to every frame with which it comes into contact, and all seams should be completely sealed by a liberal application of a waterproof caulk to form a completely waterproof box. Construct the superstructure (everything that is not the hull) by first building a frame on top of the hull, then putting marine plywood over the frame as necessary to form a cabin. The superstructure may also include fittings for a canopy to form a front porch or front and back porches. As in residential construction, the framing of the walls may include openings for windows and doors. 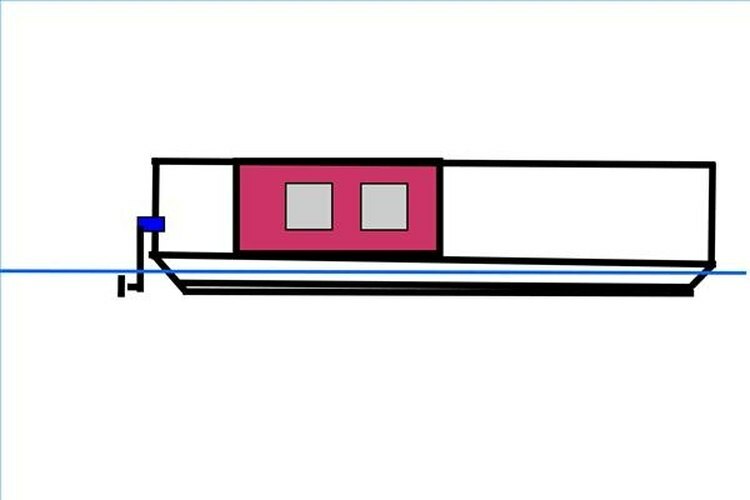 At the stern of the houseboat, build a low wall with stud framing sandwiched between two pieces of marine plywood, to form the reinforced transom where a small outboard motor may be mounted. Construct a roof on top of the superstructure. Choices include a peaked roof, a flat roof or a shed roof, like the roof of a lean-to. Build the roof rafters as if building a roof for a residence. Install the required navigational lights, based on the length of the boat. Install the necessary deck hardware (cleats and fairleads, fire extinguishers and personal flotation devices as required by law) to tie the boat off to a dock or the shoreline. Install interior walls and appointments as desired. All illustrations are for informational and illustrative purposes only and are not intended to provide a comprehensive design or advice on any element of naval architecture. Anyone can build a boat any way he wishes; however, as soon as the boat goes in the water, parts of its design and equipment are regulated in many ways by state and federal governments. Comprehensive plans complying with regulatory requirements are available from many naval architects.